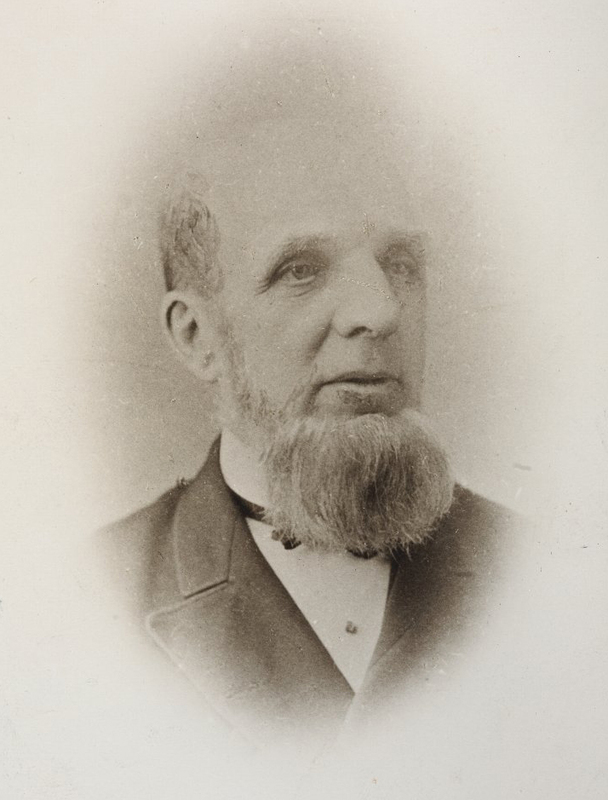 You may not have heard of Charles Harrison Blackley (1820–1900), but if you are one of the 15 million people in the UK who suffer from hay fever, you are indebted to him. For it was he who identified pollen as the cause of the allergy, and not dust, ozone, benzoic acid and light and heat— just some of the theories in existence towards the end of the nineteenth century. Darwin was very interested in hay fever. On 14 June  he wrote to Blackley to thank him for his book Experimental researches on the causes and nature of Catarrhus Aestivus (hay-fever or hay-asthma). And on 5 July 1873 Darwin wrote again, saying: ‘The power of pollen in exciting the skin & mucous membrane seems to me an astonishing fact’. Blackley was a doctor, practicing in Hulme, Manchester, who advocated controversial homeopathic treatments that were scorned by the medical establishment. Himself a hay fever sufferer, Blackley devised an ingenious series of self-experiments to ascertain the cause and mechanism of hay fever. It was by exposing himself to possible causative agents, and observing changes in his own symptoms, that he was able to single out pollen as the only credible cause. Blackley wrote back on 11 July 1873 that the distinction had ‘a very important bearing upon the subject, and I very much regret that it should have escaped my attention’. He excused himself for the oversight, explaining that ‘investigations have had to be made with the hourly recurring demands of a moderately large practice pressing upon me’. Darwin was fascinated by Blackley’s experiments testing whether pollen could be carried large distances in the upper regions of the atmosphere. Blackley wrote on 7 July 1873 that his high altitude experiments had been inspired by Darwin’s discussion of collecting atmospheric dust at Porto Praya in his Journal of researches (2nd edition, p. 5). Darwin gave a further example of how coniferous pollen could be carried for hundreds of miles in the upper atmosphere and be deposited on ships— explaining why some sailors suffer from hay fever out at sea. Blackley flew kites at different altitudes with sticky slides on them to sample the air. He perfected the experiment by adding a clockwork mechanism to expose the slides for a set time, and enhancing the glycerine sampling solution with carbolic acid to deter insects. He concluded that in pollen seasons much higher levels were found at 1000-2000ft than at ground level, and this explained why people suffered from hay fever in large cities far away from sources of pollen. In his later work, possibly inspired by his interest in homeopathy, Blackley tried to find out the smallest amount of pollen that would initiate and maintain the symptoms of hay fever. This required determining the weight of pollen grains by a dilution method. In his letter of 9 March 1877, Darwin wrote: ‘Your calculation of the (weight) of pollen grains is wonderful’. The problem of cure has still to be solved and really resolves itself principally into a question of prophylaxis. I fear it will prove to be the most formidable and difficult part of the task I originally set myself. Blackley tried many drugs to no avail. He had slightly more success experimenting with air filtration systems, and in recommending spending summers in suitable locations to avoid pollen. But his lasting contribution to the science of allergy was to establish the link between hay fever and pollen, through inventive— and self-sacrificing— experiment, and thorough and detailed observation and description. Comments on CHB’s book [Experimental researches on catarrhus aestivus – hay-fever or hay-asthma(1873)]. Explains that some pollens are wind-blown while others depend on insects for dispersal. Effect of pollen on skin and mucous membrane astonishing. Sends a book [M. Wyman,Autumnal catarrh(1872)]. Thanks for copy of Wyman’s book. His own recent researches [on pollen] at high altitudes were inspired by CD’s account inJournal of researchesof distances dust may travel. Thanks for suggestion to try effect of dry heat on pollen and for other new information on pollen. Will begin new experiments soon, hoping to cure hay-fever. Thanks for CHB’s essay [New observations on hay-fever(1877?)]. The calculation of the weight of pollen-grains is wonderful. Suggests he consultCross and self-fertilisation, pp. 376, 405 for information on this subject.